$15.95 U.S. / $23.95 Can. "The Leonardo of the comic book form"
Will Eisner brings new depth and insight to one of literature's most infamous characters, recasting Oliver Twist from the perspective of Fagin. WITH FAGIN THE JEW, Will Eisner proves himself once again to be not only a master of comic storytelling but also an incisive literary and social critic. 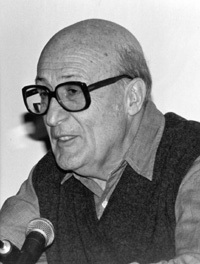 Throughout his comics career, which has spanned seven decades, Eisner grew increasingly frustrated with the stubbornly pervasive Jewish stereotypes found in classic literature. Upon examining the original editions of Oliver Twist and the accompanying illustrations, he decided to set the record straight--using information gleaned from his research to tell the story of Fagin that Charles Dickens neglected. In his award-winning style, Eisner portrays the notorious villain as a troubled and complex man and tells the tale of his life and of London's Ashkenazic community in Fagin's own words. 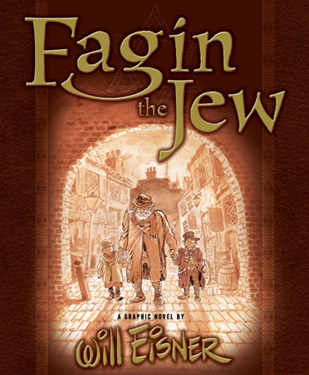 Fagin the Jew is part biography, part polemic, and entirely engaging, and Eisner's empathy for this mistreated character lends an extraordinary richness to his artwork, ever evocative and complex. In a fresh, compelling look at prejudice, poverty, and anti-Semitism, Fagin the Jew blends image and prose in an unforgettable examination of history. Will Eisner has been a pioneering force in narrative art for more than sixty years. In addition to his beloved The Spirit comics series, he is the author of many acclaimed graphic novels, including A Contract with God and Dropsie Avenueand two definitive works on the creative process, Comics and Sequential Art and Graphic Storytelling. He has taught cartooning at the School of Visual Arts in New York City, and every year presides over the Eisner Awards presented at Comic-Con International in San Diego. He lives in Florida.